There's a kind of quiet that is sweet, reassuring, transcendent. But there's also a quiet that's more like a coiled spring, like the villain in the movies who whispers instead of shouts. There's a hint of darkness beneath that smooth surface. 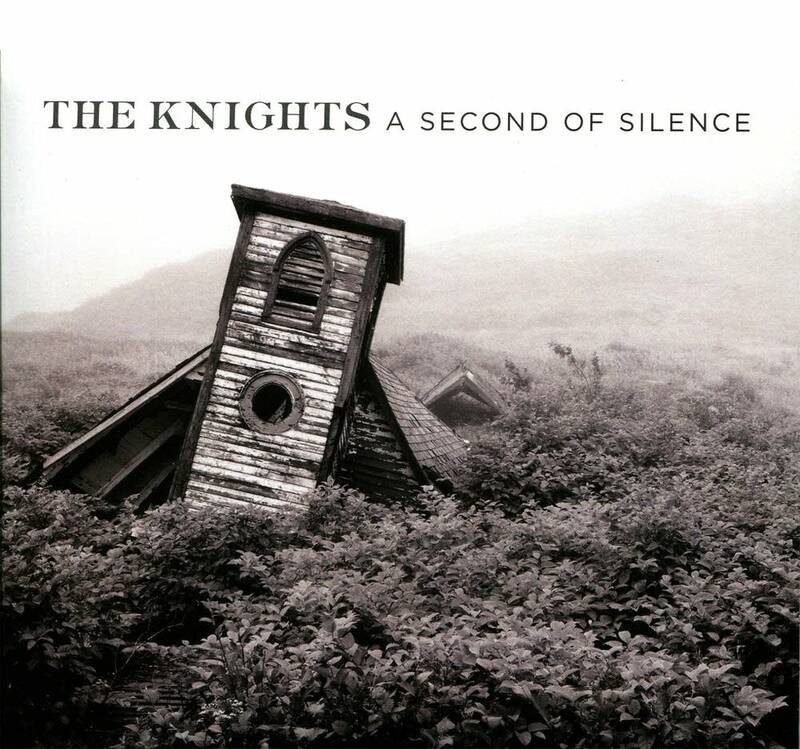 Both kinds are in evidence on A Second of Silence, the latest CD from The Knights, the New York-based chamber ensemble. The opening of Schubert's "Unfinished" Symphony is a perfect example. You have this somber intonation of the theme from the cellos and bass. Then the upper strings come in with a quiet tremor, adding to the anxiety... and then... WHAM. The Knights represent that intimate side of Schubert's symphonic music by dint of their smaller size as a chamber orchestra, but also wanted to apply those same forces to Schubert's art song. Co-artistic director Colin Jacobsen: "We wanted to see: could we, as an orchestra, obtain some of the quality of a really great singer with a pianist, and obtain that immediacy and intimacy with 40 people." They chose a couple Schubert songs, including one of Colin's childhood favorites, The Brook's Lullaby. It's deceptively sweet. "It has this rocking, gentle motion, and it's in a major key. But it's actually describing something very sad — a spurned lover, a young boy. And the brook, nature, is speaking to him and saying, 'If she will not accept you, I will.'" A Second of Silence juxtaposes composers who aren't often found together on one CD. The Schubert song follows a piece by Morton Feldman, Madame Press Died Last Week at 90. Feldman had a great love for Schubert's music, which he described as having a "kind of hovering, as if you're in a register you've never heard. That's one of the magics of Schubert." The piece is an elegy, but the origins of its title might make you smile to yourself. As Eric tells it, "Morton finally picked up the phone and called his mother (she always wants him to call) and she says "Hello" and he says, "It's your son," and she says, "Madame Press died last week at 90.'" Feldman adopted that phrase as the title for his remembrance of his former piano teacher, Vera Maurina Press. It starts simply, building upon itself, and then about two thirds of the way through there's a moment... a pause. "Then you have these three short statements that are just very poignant and very truthful and maybe somehow a golden section of your life, a 'golden mean.' And then it's the same music as from the beginning but it's almost in double time. And it just flows by, maybe like when one is in their golden years... time just sort of skates away." The piece features a sweet, mournful cuckoo throughout. Eric suggests that the bird is a memorial, someone from the sky, speaking... but the cuckoo, and its association with clocks, can also be heard as marking the passage of time, a guide back into silence. That motion, that pull toward silence is at the heart of this CD. The title, A Second of Silence, is a reference to that magical moment of hanging, the pause, the note that disappears into nothing. Colin Jacobsen says much of the music on this album has that quality — what he calls "a sense of wanting to come back into the silence in which they were born." The album is also connected by another thread: novelist and playwright Samuel Beckett. Beckett, like Morton Feldman, was fascinated by Schubert, particularly Schubert's melancholy. His own melancholic work, Company, served as the inspiration for a Philip Glass piece of the same name. There's that sense of the futility of existence, of striving pointlessly only to find yourself back in exactly the same place. You can hear how that idea of an endless cycle found a sympathetic interpretation in Philip Glass, who was also perhaps influenced in his chugging, motor-like creations by the gentler repetition of... yes, Franz Schubert. "There is a sense that Schubert's music is endlessly refreshed and refreshing," says Colin Jacobsen, "and I think ultimately that is the thing that we felt about all of these pieces. The imagination behind them and sense, yeah, of capturing a second of silence was something we felt they all shared." Colin Jacobsen and his brother Eric Jacobsen are the co-artistic directors of The Knights, whose latest CD is A Second of Silence.